The new range of Reflex Comfort Grip Kitchen Knives has been designed with a soft-touch overmoulded handle to provide a more comfortable slip resistant grip. The handle is set at an angle to minimise wrist movement when using the product and the grip is designed to reduce the amount of finger movement required to grip the handle. 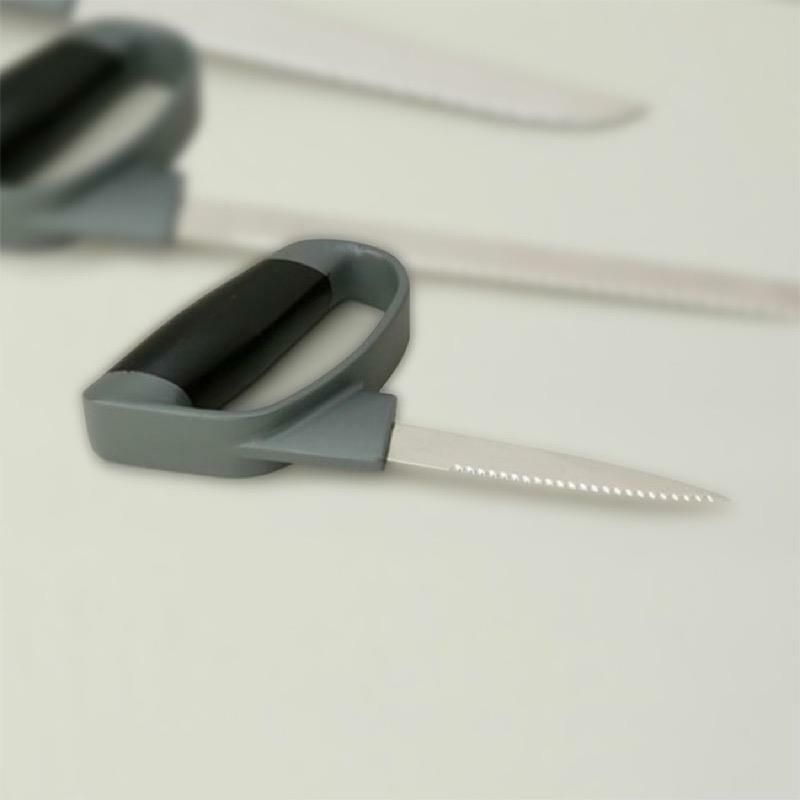 The knives have high quality stainless steel blades and are dishwasher safe. This is one knife only- Not a set of knives.